Here is Brain Teaser to test your non verbal ability. Can you find the next pattern in the given brain teaser which will replace the question mark? 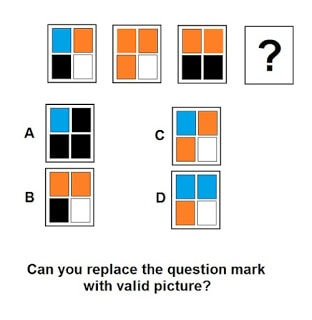 Can you find which picture replaces question mark? The Answer to this pattern puzzle will be provided later. Do write you answer in the comment section of this post.